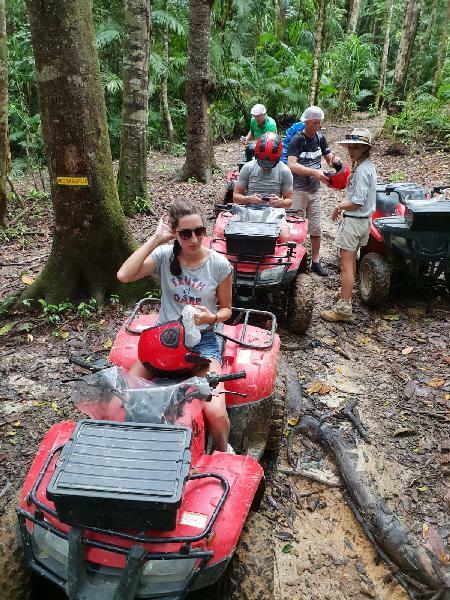 Experience the amazing ATV Quad Bike tour through the incredible World Heritage Rainforest! 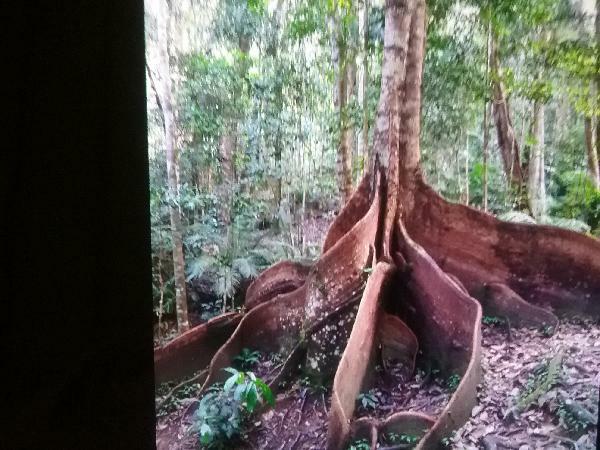 See native Rainforest including strangler Fig Trees, one of the largest trees in North Queensland and meet the resident wildlife. 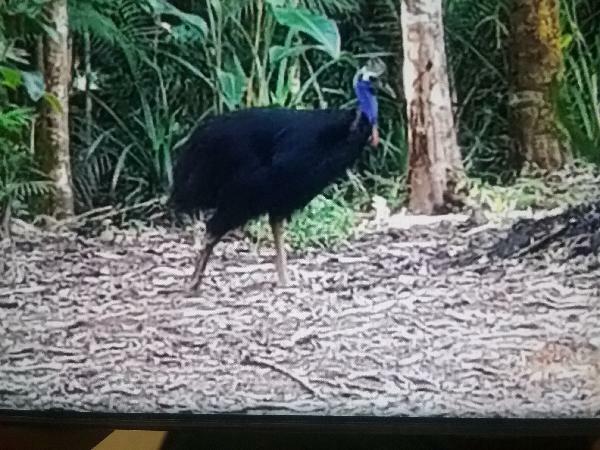 You will have a high chance of spotting the incredible Cassowary, a 1.6m flightless bird! Next up on the same property enjoy an ATV Rainforest tour! Navigate your way through creeks and journey over exciting terrain on this awesome off road adventure. No ATV riding experience is required – just a sense of fun and adventure! Child Age is 4-14 years. Please note children under 10 years will ride with the instructor in a 6 seater buggy on the Rainforest Quad bike Tour. Hotel pick up from Cairns city only, or meeting point for any other areas at Skyrail car park. ATV is an absolute must do!! Awesome ATV Adventure - I can highly recommend it. Thanks for taking the time for this awesome review, happy we've pleased!! This was my first time on an ATV and it was so much fun and so easy to ride!! We happened to see 2 baby cassowaries and got to feed them bananas. The drive through the rainforest was so beautiful and I didn't want it to end. 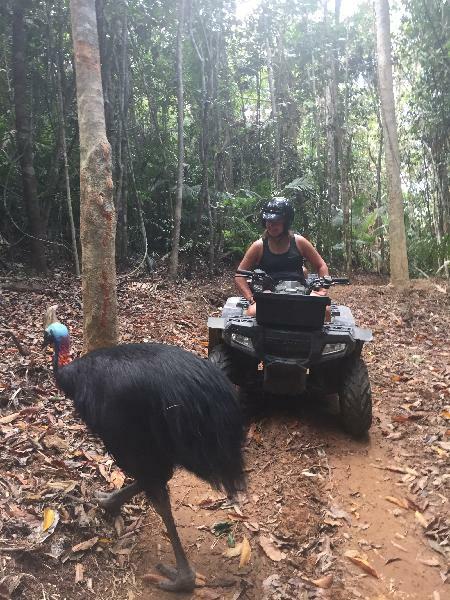 Good Morning Annette, I'm glad you had an awesome time on our ATV Tour! 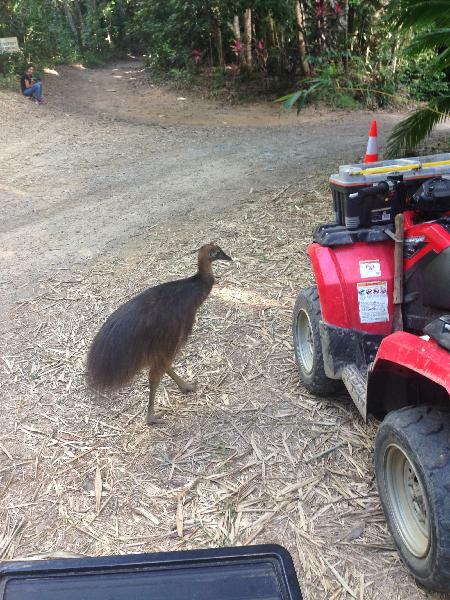 Cassowary sightings are a regularity on this tour and our Hummer Tour, on the same property - around an 80-90% strike rate. This is amazing considering their are said to be only 900 odd left in the whole of Australia!! 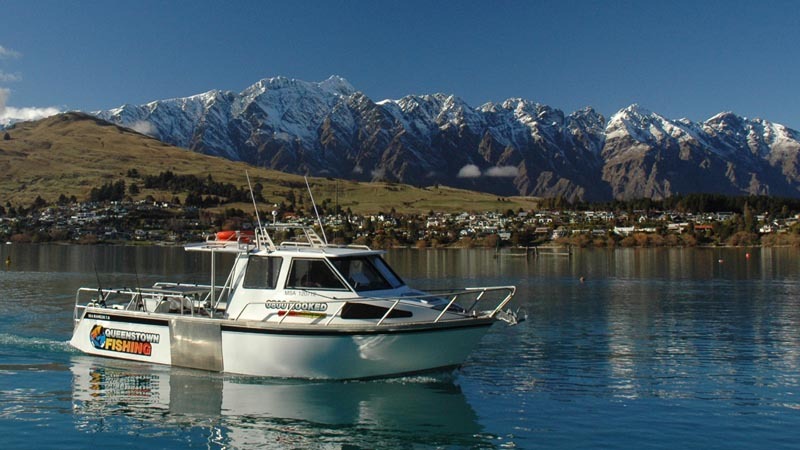 Thanks heaps for the time to write this review and the great photo:) Happy travels! Your message has been sent to Rainforest and ATV Adventure - Half Day Tour. You should hear from them shortly. Please note: all responses will come directly from Rainforest and ATV Adventure - Half Day Tour, and not the team at Bookme.